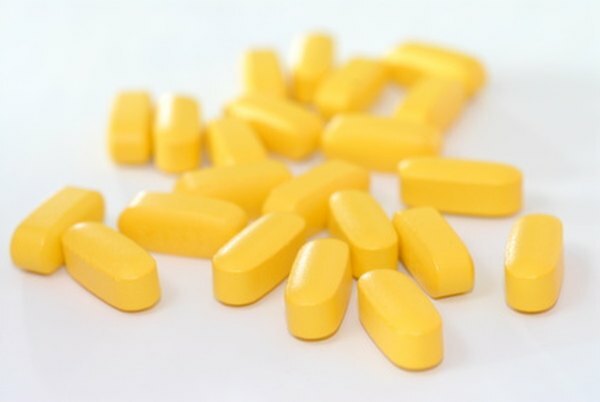 According to The Linus Pauling Institute, sodium ascorbate is a form of Vitamin C which is more bioavailable than the more known ascorbic acid. Bioavailability is defined as the degree to which a nutrient becomes available to the target tissue after its administration. Sodium ascorbate is a buffered mineral salt of ascorbic acid, making it less acidic. Because of this, it is a good alternative for ascorbic acid when it comes to people experiencing gastrointestinal problems because of the latter. Sodium ascorbate has several health benefits. Ken Adachi of Educate-Yourself.org states that sodium ascorbate has general immune boosting properties. It can help prevent a person from developing common illnesses such as flu and colds, plus it can also help the body fight infection. Wounds heal faster through the help of sodium ascorbate. Moreover, sodium ascorbate has antibacterial and antiviral properties. The Linus Pauling Institute also reports that sodium ascorbate can stimulate the production and function of white blood cells, which play a big role in the body’s fight against diseases. When mixed with bioflavonoids, a class of water soluble plant pigments, sodium ascorbate can produce a complete antioxidant as reported in Regenerative Nutrition. The Linus Pauling Institute further states that fruits and vegetables rich in Vitamin C are also good sources of bioflavonoids. The combination of these two further increases the ability of sodium ascorbate to be absorbed and synthesized by the body. Hence, the addition of bioflavonoids in the diet or as a supplement will help broaden the action of sodium ascorbate. One of the most well-known diseases treated by sodium ascorbate is scurvy, a disease caused by the deficiency of Vitamin C, and characterized by weakness, anemia, gum disease or gingivitis, and skin bleeding. Vitamin C is essential for the body to be able to synthesize collagen, which is an essential component of connective tissues. Fortunately, scurvy is now a rare disease since sodium ascorbate is abundant in the diet as well as in dietary supplements. Studies have shown that sodium ascorbate can significantly prevent the development of certain diseases, such as stroke, coronary heart disease, and even cancer, according to The Linus Pauling Institute. Another disease that can possibly be prevented by increasing the intake of sodium ascorbate is gout, since higher intakes of Vitamin C are associated with lower uric acid levels in the blood. The Linus Pauling Institute: The Bioavailability of Different Forms of Vitamin C by Jane Higdon, R.N., Ph.D.